Pijin BMX: 420 Baked Burlish from Mutiny. 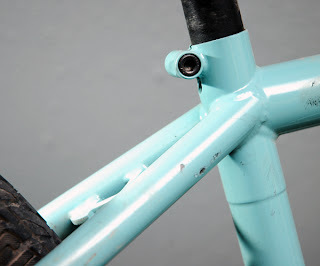 Mutiny have banged up a bunch of shots of their new 420 Baked Burlish frame. Sizes are 20.3, 20.75, 21 all with 13.7 rear end and 21.5 with 14.25 rear end. 20.75 frame weighs an amazing 4.5 lbs. 11.7 BB height, 71 seat tube angle with a 74.5 head tube angle. 420 Baked, post welded heat treatment. 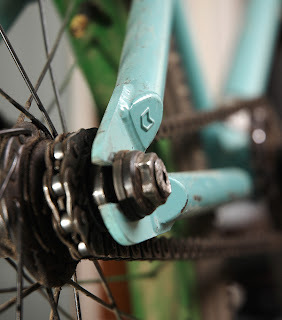 Integrated Seat clamp, nut and bolt system. Mutiny badge stamped seat stay caps and engraved headtube. 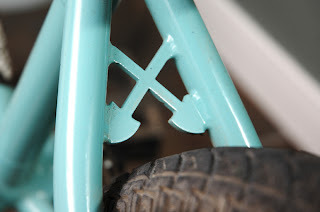 Shovel cross brace on seat stays and X brace on chainstay. Color is going to be Cyan Blue.